When you walk through the door at the end of a hard day, the last thing you want to see is a scene like the “Before” Photo below. But this cluttered “drop zone” is common inside most any home’s entry. 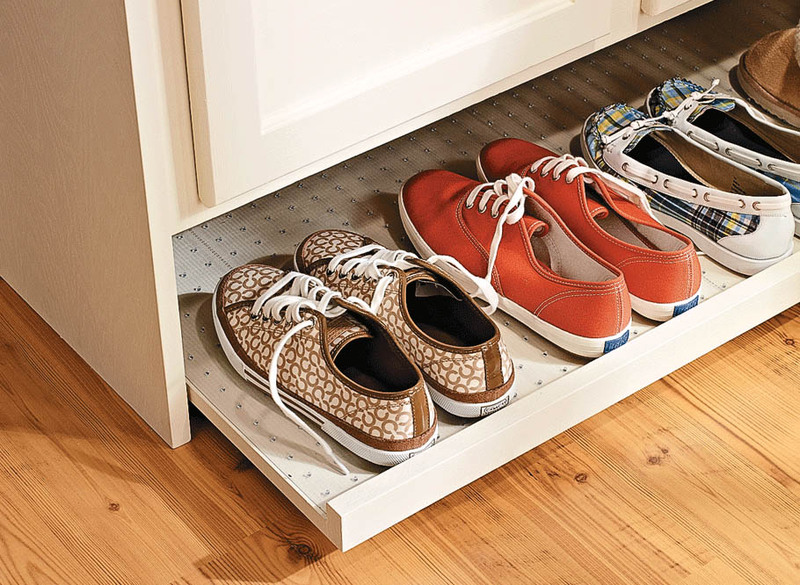 This great-looking organizer will put an end to all that clutter. 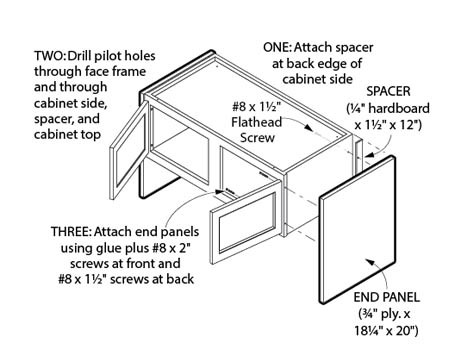 It has the look of a custom built-in, but it’s unbelievably easy and economical to build. Build a Basic Bench. 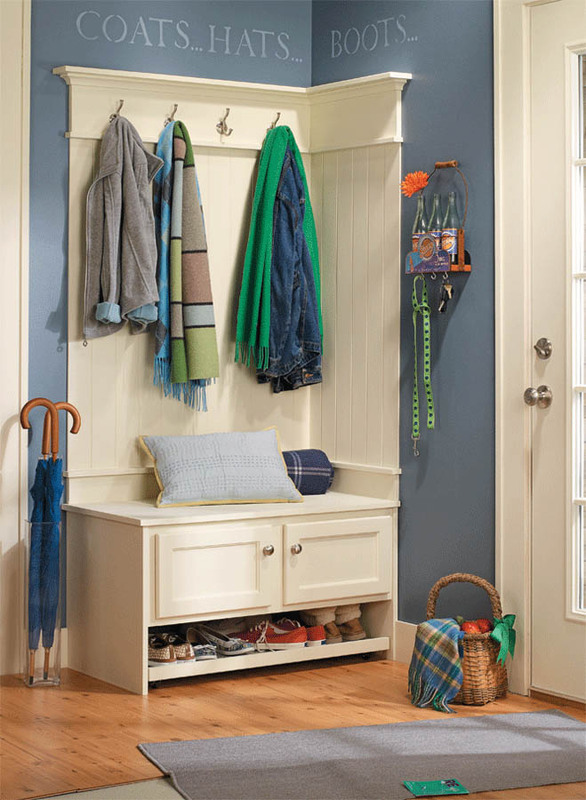 At the heart of this entryway makeover is a storage bench that’s the perfect place for kicking off your shoes. It has a slide-out tray to keep them organized and storage inside for other gear. Best of all, the bench is made from an inexpensive unfinished cabinet plus a few pieces of plywood. We’ll walk you through putting one together. Above the bench is a row of hooks that allow you to hang coats and bags so they’re accessible but out of the way. 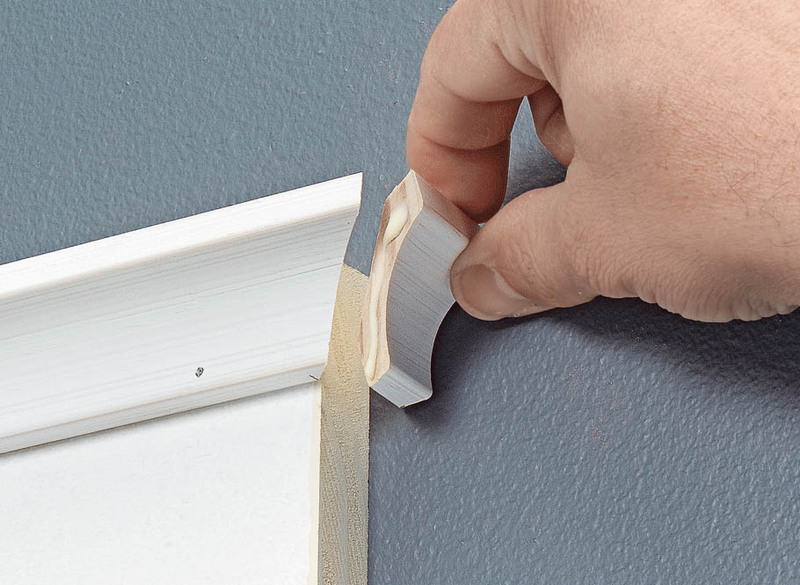 Tying it all together is a traditional wall treatment consisting of V-grooved car siding, horizontal boards, and a bit of molding. 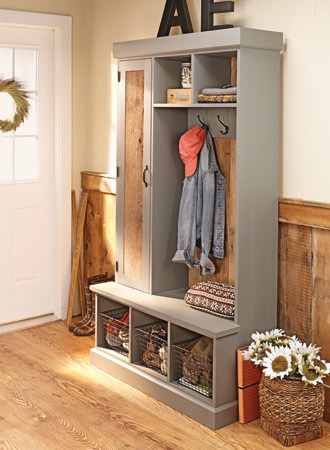 It’s simple, too, since it’s made with off-the-shelf materials.. Add Finally, we’ll show you how we created the traditional look of this entryway, and we’ll offer up options in case you’d like to organize your entry in a slightly different style. 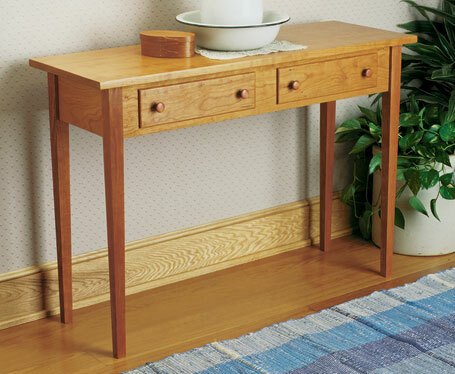 A solid cherry hall table inspired by the timeless quality and clean, uncomplicated lines of Shaker design. 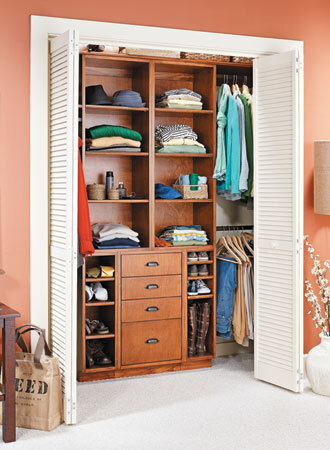 Build a high-style closet organization system without breaking the bank. It's possible with inexpensive materials and our step-by-step plan.